By: Greg Kristan As a note, I have never been to Paris but that is on my list for places to check out! Also, I think the picture above is incredibly beautiful! I have had my laptop for about a month now and I am one of the few people that actually likes Windows 8.1. Granted, I am still learning, but I think there is a really cool feature (see the picture above) that I would like to talk about. My laptop is a touch screen which I feel was the real design for the new Windows and I think it works really well. Every now and then my touch screen freezes but probably about 90% of the time the screen works without any issues. So yes, it is not perfect, but I will admit that it is good, but could be better! 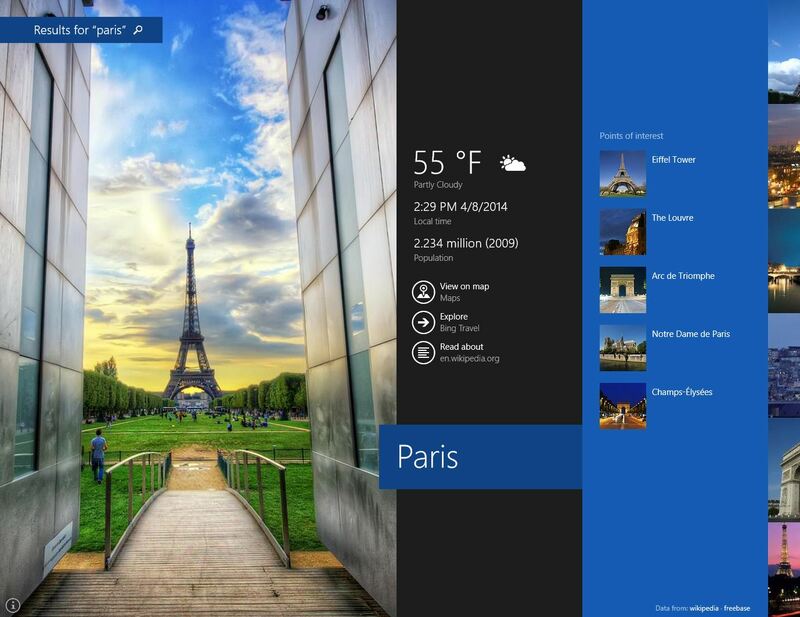 Anyway, one really awesome feature is the ability to search within your start menu. I use this feature all the time because of limited to no ads! 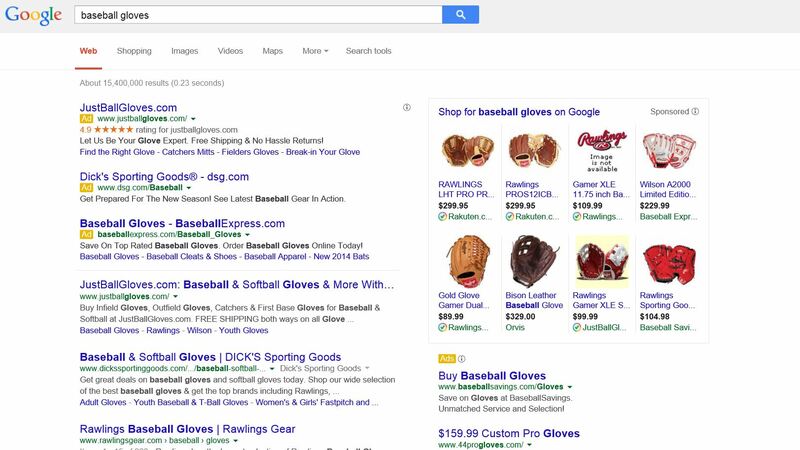 The Search Here is a picture of a Google Search for the term baseball gloves. Notice the top 3 results are ads and the entire right column are ads. Here is the same search in the search menu in Windows 8.1 powered by Bing. 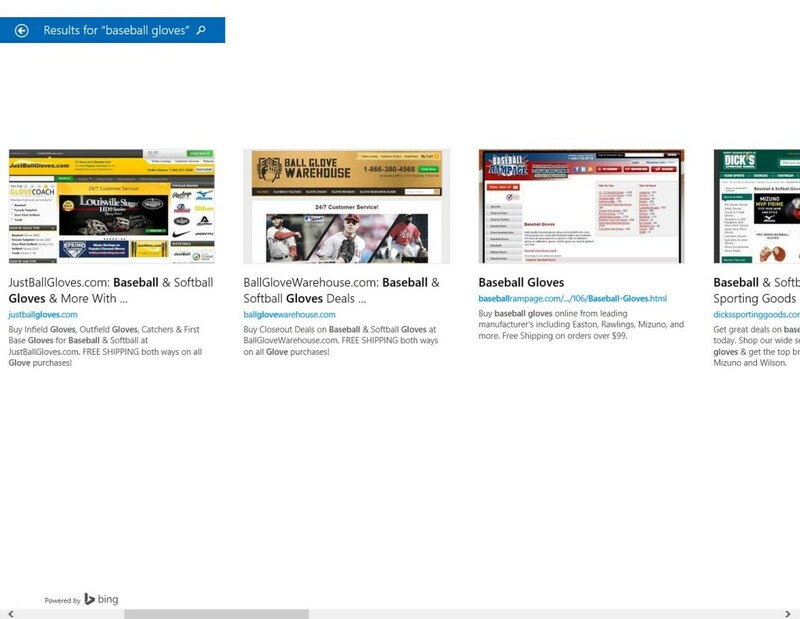 As a note, I did push the slider over by 1 to hide an ad just because it was for the Just Ball Gloves site and I wanted to show different sites in the preview section. Here is the search in Bing for that search term. Notice how it looks similar to the Google search with ads on the top and on the right. 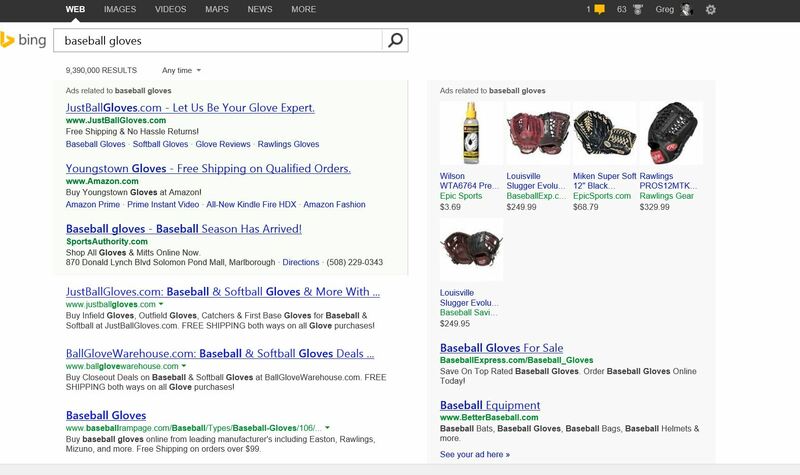 As a note there are less ads on Bing than on Google, but still I believe too much! So what is the conclusion? So if you know who I am or you work with me then you probably have heard me brag to death about Bing. But the actual truth is I like the Windows 8.1 search powered by Bing, not just standard Bing searches. I can’t stand the amount of ads that are over search results today. Working in an agency I understand how this works and I also understand nobody is forcing me to click on an ad. My issue with the ads is how much they push down the real organic searches towards the bottom of the page. Another reason I enjoy the Windows internal search is that they give you a preview of the actual sites before you go to them. This is incredibly important to me as there are people out there who are very good at SEO. They might of gotten a really terrible site to the top that will have a bad user face for users that people will click on. The idea now that there is a snapshot before a click makes me happy as I have a better idea where I am going before I click! So overall I like this search a lot. 1) Less ads 2) Snap shot preview 3) Fast and immediate related searches and more information on the actual search 4) Large opening pictures 5) Horizontal view rather than the traditional 10 little blue links 5) Oh, and LESS Advertisements!